A three-minute burst of energy and Liverpool-based four-piece, Factory launch their third single, Crosses, to concrete their place in the swell of amp-blowing guitar music, bursting the banks of the Mersey and flooding the North West of England from Birkenhead to Stockport. Released on Salvation Records on Fri 16 November 2018, the crisp single is a revealing statement of power and poise and emerges on the eve of the band’s first headline tour. 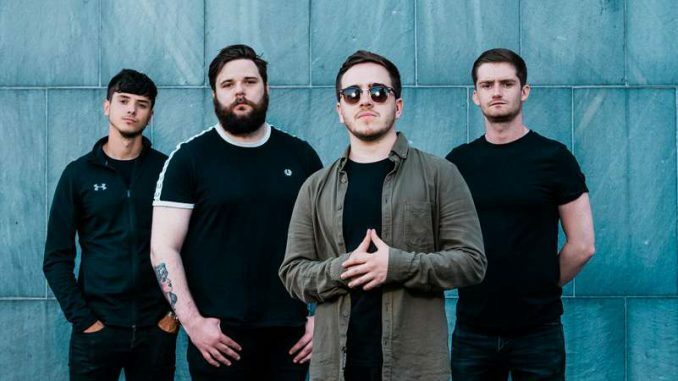 As ever more, young, northern bands go below and beyond critical radar to whip up small venues and stadiums across the UK, Factory’s roots in Runcorn, Cheshire connects them to musical inspirations both past and present. Tipping their hats to local heroes, Catfish & The Bottlemen, they also feel the breeze of history from nearby Spike Island and Stone Roses’ ambitious folly across the Mersey Estuary. Joining James in Factory’s line-up are Karl Richardson (backing vocals and lead guitar), Tony Dainteth (backing vocals and lead guitar) and Benjamin Worrall (drums and percussion). Crosses is the first track to emerge from sessions with producers, Sugar House who has previously produced the late Viola Beach as well as Manchester’s Pale Waves.